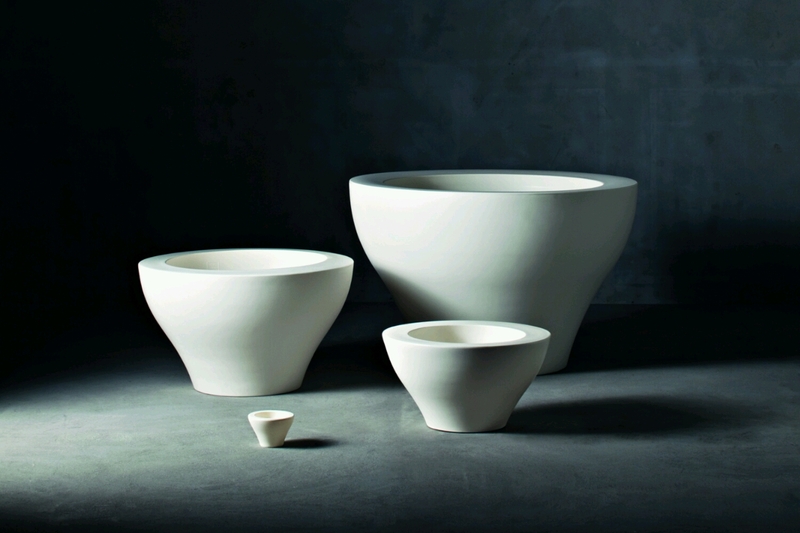 Rodolfo Dordoniâ€™s Ming Family of pots are valued for their large dimensions, enhanced by a large upper edge and a shape that is both traditional and modern at the same time. Adaptable for both indoor and outdoor use, the versatile pots have been designed especially for rich and prickly plants such as agave and cactus to contrast with the soft and curvy shape of the pot. Structure: LLDPE (polyethylene), through-coloured made by rotational moulding process. With additive against UV rays. 100% recyclable. High mechanical resistance, made in great collision-proof plastic.